Battlefield V’s recent beta test provided DICE with tons of user feedback and the developers have now relayed to the community the upcoming changes they plan to make for the final version of Battlefield V (which was delayed to November 20th, in case you forgot). The main topics discussed by DICE were the balance of attrition (ammunition will be slightly less scarce in the final game than it was in the beta), improved player visibility, an extended vehicle damage system, better spotting for pilots and more. Read the full lowdown below. First off: having limited ammo and health is key to optimizing the gameplay tempo. It encourages you to be mindful, as well to be more thoughtful and tactical instead of just spawning, sprinting, and dying. 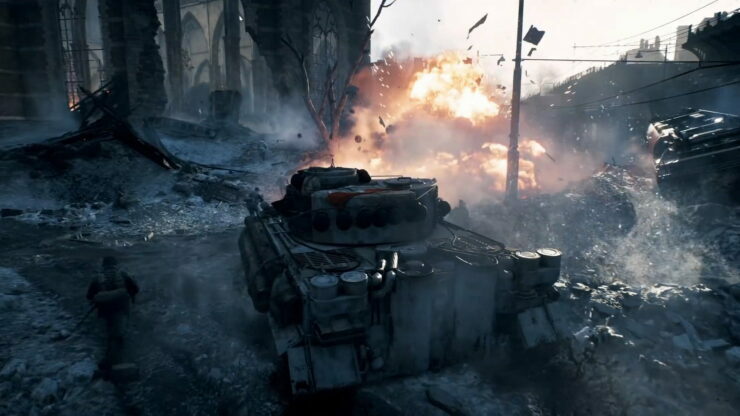 Systemic damage has existed in some form since Battlefield 3 and you saw some – but not all – of the system in the Battlefield V Open Beta. If you’re unfamiliar with the concept, the idea is that you don’t have to completely destroy a vehicle to defend against them – you can take out parts of them. The Open Beta featured systemic damage on the vehicle tracks, but it wasn’t implemented for turrets and engines. One thing we didn’t like with partly destroyed tanks in previous titles was that although the tank pilot could survive, he or she were sort of stranded, unable to move or shoot back. In Battlefield V, you’ll feel less dead in the water in these types of situations. If, for instance, your left track is damaged, it won’t be completely disabled, but you’ll limp along. Overall, we want the systemic damage states to give players meaningful tactical choices. An infantry player going up against a tank might, for example, want to attack the turret first. Air combat will also see some tweaks. Post Open Beta, we saw concerns that fighter planes weren’t as agile as expected, and that they couldn’t engage with ground targets as easy as before. Some planes are not yet where we want them to be, so we’ll keep adjusting them. Pilots and gunners will also get improved visibility of enemies. We like how spotting works in Battlefield V, but it effects planes, and we’ve countered that by extending the range at which can you see spotted enemies while using aircraft. This should help planes acquiring ground targets and make sure that planes aren’t disconnected with the ground combat. Not part of the Open Beta, plane upgrades like Radar and Parachute Flares will also make your life as a pilot easier when they arrive in Battlefield V.